Arise, O Lord! Punish the wicked, O God! Do not ignore the helpless! The people of Israel will stand up to their foes, and all their enemies will be wiped out. This day I walk with Christ and He will walk with me. + I fasten close to me this day that same power who came to us as flesh and blood and was Himself baptized in the Jordan river. + He died upon the cross to rescue me, broke free from death, its conqueror. He left us, to return the more certainly. Resisting my own selfishness and sin, refusing to live as a slave to riches, pleasure or reputation, rejecting Satan and all his lies, I call on heaven to witness today that I have put on Christ. 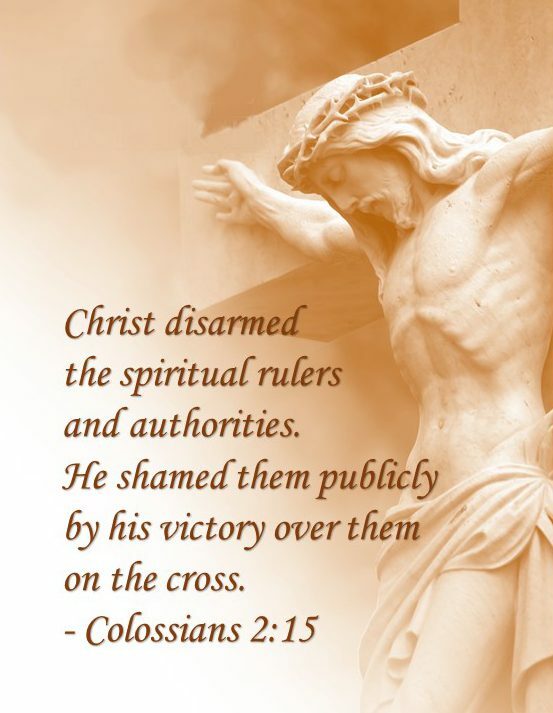 Tags: 10 Nov, Celtic Daily Prayer, Eata Readings, he disarmed the spiritual rulers and authorities, He shamed them publicly by his victory over them on the cross., Jesus Christ, Morning Prayer, Northumbrian Community, Psalm 10:12; Micah 5:9; Colossians 2:15, Punish the wicked - O God! Do not ignore the helpless!, The people of Israel will stand up to their foes - and all their enemies will be wiped out.